Order. No. of aircraft ordered. WFU No. of aircraft Withdrawn From Use. Opt. No. of aircraft options. Sold No. of aircraft sold to another country. Opp. No. of possible aircraft sales. Oth. D. No. of aircraft bought from another country. Canc. No. of aircraft ordered cancelled. LS↓ No. of aircraft leased from another country. Del. No. of aircraft delivered. LS ↑ No. of aircraft leased to another country. On Or. No. of aircraft to be delivered. Act. No. of aircraft operational. W/O No. of aircraft Written Off (crashed). Lease: When the no. of aircraft LS↓ and LS ↑ are equal the leased aircraft have been returned to the owner. 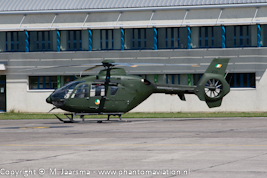 Airbus helicopters redesignated its helicopters, the H135 was previously known as EC135(T1). Country Order. Opt. Opp. Canc. Del. On Or. W/O WFU Sold Oth.D. LS↓ LS ↑ Act. Airbus helicopters redesignated its helicopters. 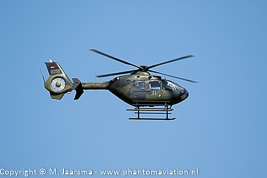 The EC135 became the H135 and the EC645 became the H135M. Country Aircraft Order. Opt. Opp. Canc. Del. On Or. W/O WFU Sold Oth.D. LS↓ LS ↑ Act.